Through the normal course content copy procedures, student and instructor contributions into the database activity are not copied forward from year to year. Enter the previous term's course and access the database activity. On the database page, click on the gear icon near the top right, then on Export entries. Alternatively, you can just click on the Export tab. De-select 'Include user details'. 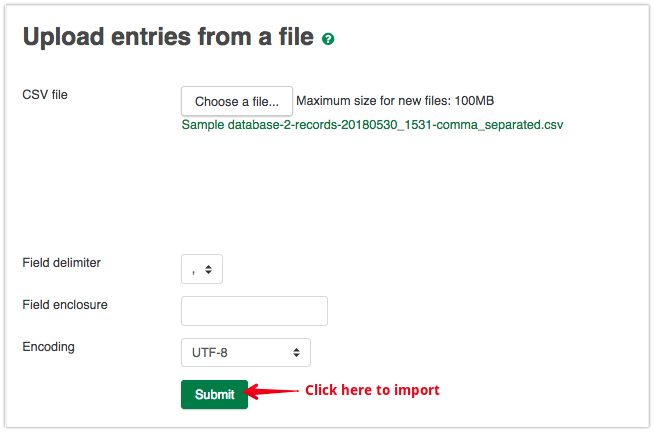 Then, click on Export entries and take note of the file location. Now enter the new course where you want the entries to appear. 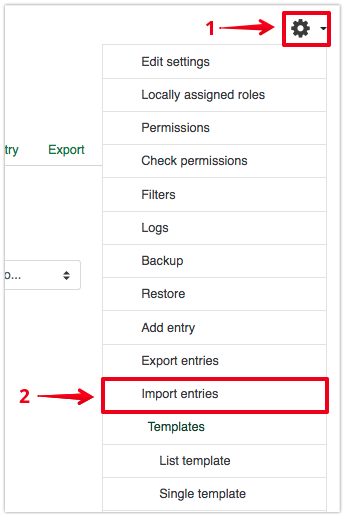 Once you are on the database page, click on the gear icon, then on Import entries. 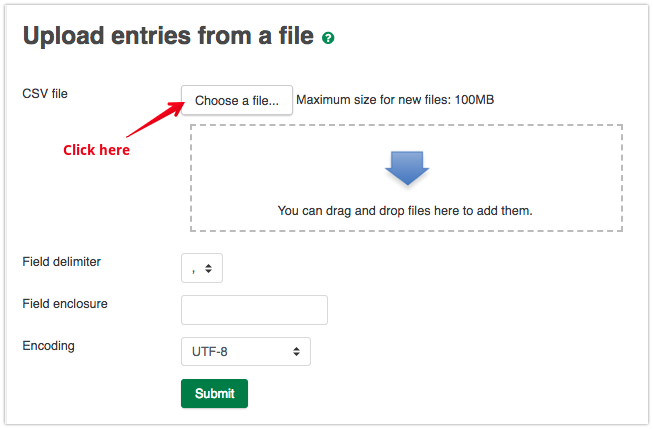 Click Choose a file then navigate to the file produced in step 3 (or drag the file into the uploader area). Leave the options untouched and click Submit. Now your database will include all the entries. These will all be attributed to you so no student data will be inappropriately visible to new students. 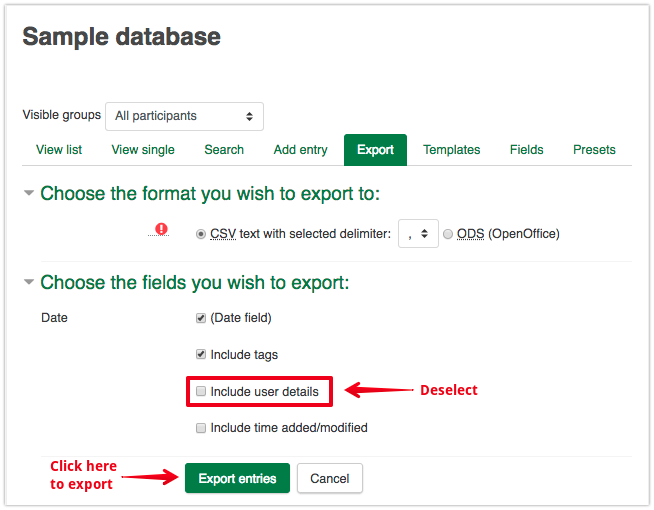 Along with entry data, database Presets may be downloaded locally as a zip and imported into a new course. 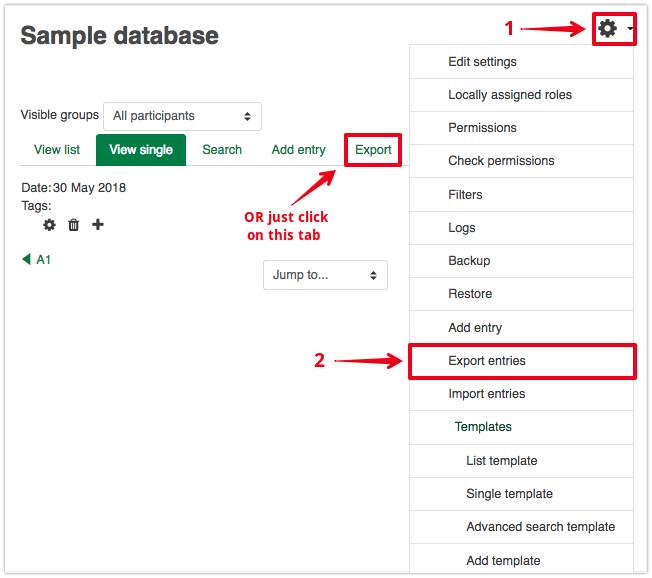 If you are using eClass' standard course creation content copying process, this will not usually be required because all of your old database setup presets will already be copied into your new course. The field names in the top row of the CSV file must match exactly the names of the fields in database activity and are case sensitive. It is best to not edit the exported file in any way. User uploaded files and pictures are lost in this process.